A great week for herps. nighttime temps around 50-60 degrees with daytime highs in 70’s. 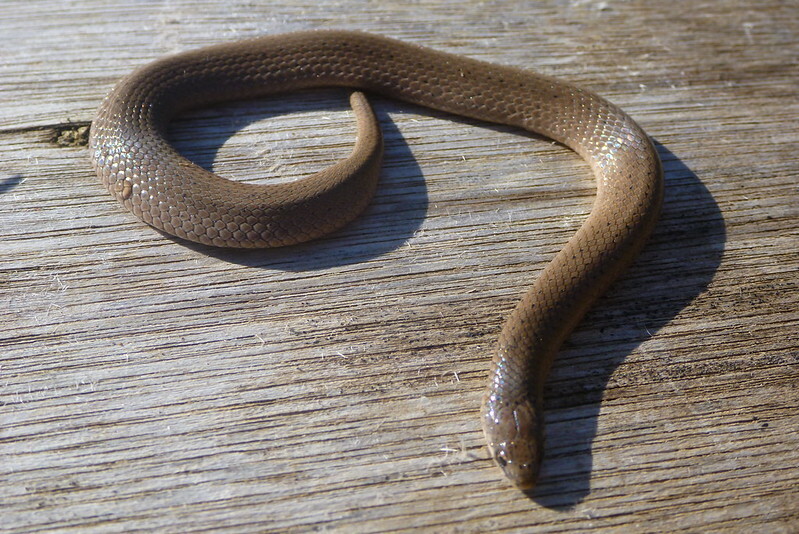 The week started out with some nice finds (see previous entry) a combined total of 22 snakes 6 different species one of which a newby for me – the smooth earth snake. 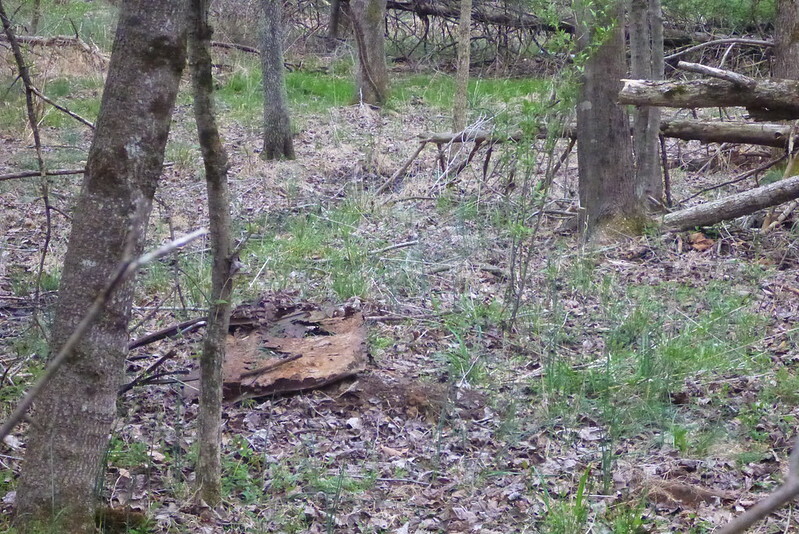 All of the species were found in Fairfax county but in different locations and habitats. 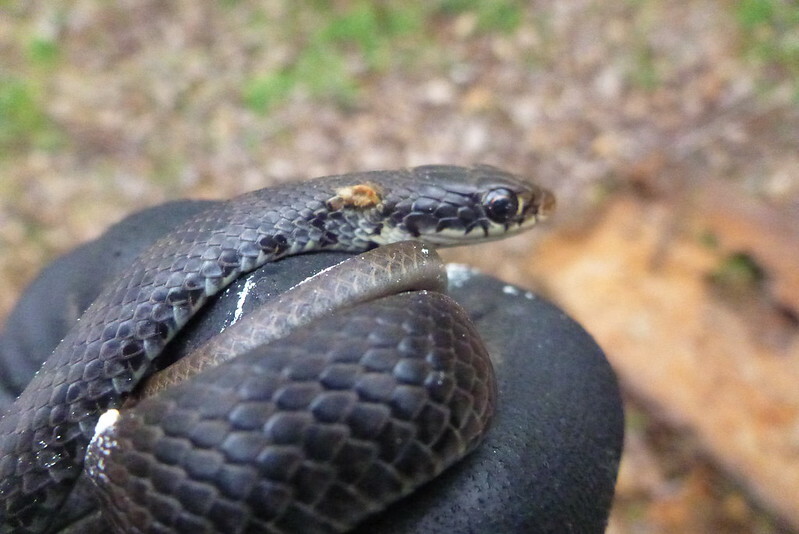 The larger species of Mole kings and northern black racers were found in open fields with the exceptionof one juvenile racer found under an old car door in a wooded area. All of he snakes were found under artificial cover consisting of pieces of metal and plywood. 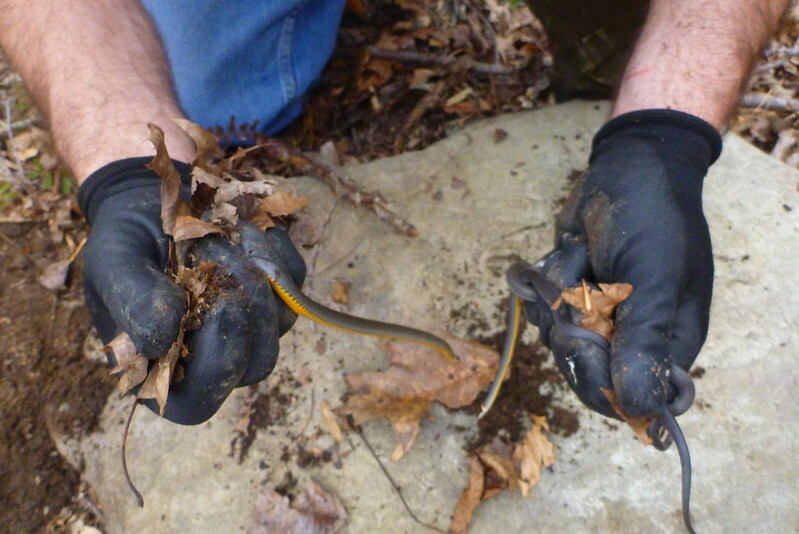 One exception an eastern worm snake was recovered under some pine bark on the forest floor. 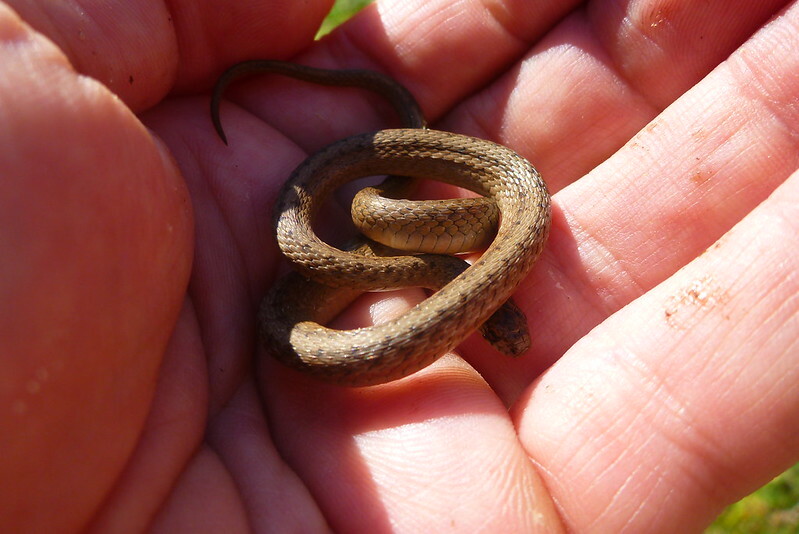 The smaller snakes were found in different locations. The smoth earth and the northern browns were found under plywood. The ring necks under flat rocks sometimes as many as four at a time. I also found about 8 skinks none could be positively identified but my guess majority of themwere five lined and possibly a broadhead or two. The phibs were less numerous. 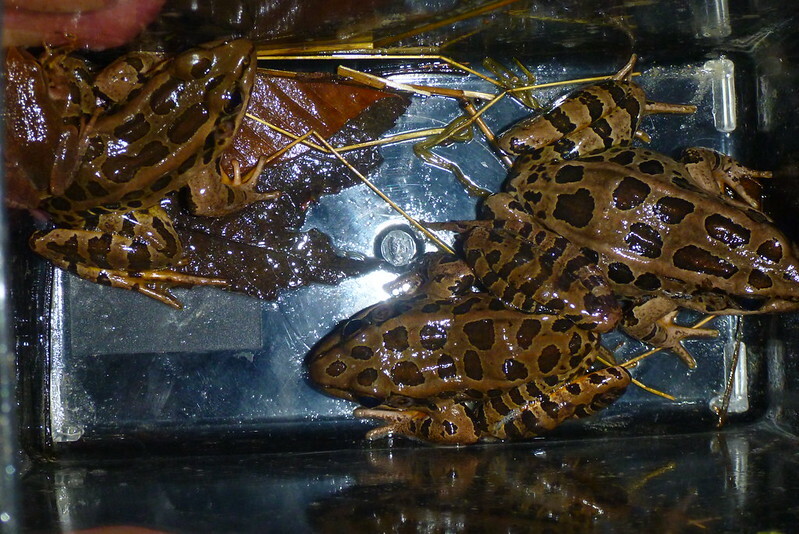 Several two lined, a dusky and gravid female spotted salamanders as well as one cricket frog and one american toad. All found in their natural habitats with the exception ofthe toad which was occupying the same piece of plywood the skinks were found. 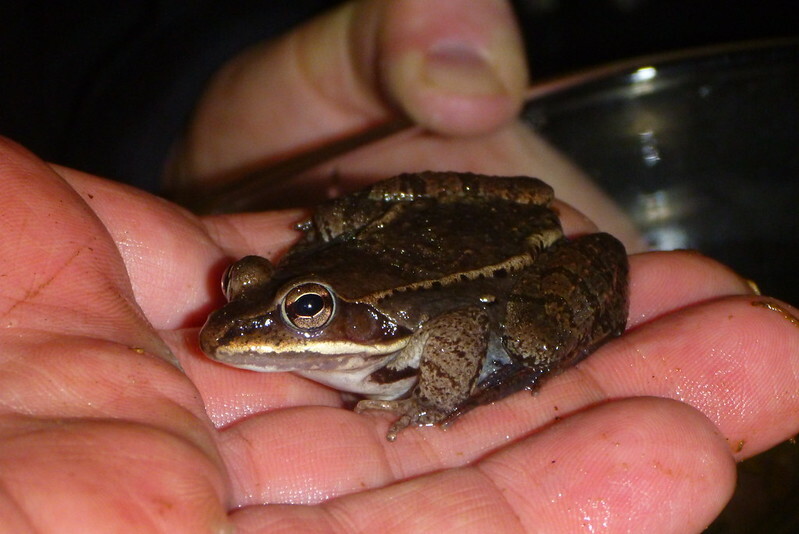 Chorus frogs were heard but none captured. 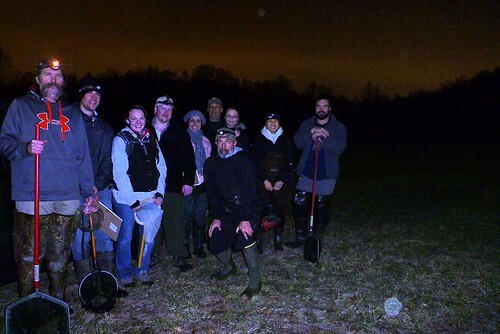 Dr Steve Sheffield and members of Virginia Tech’s Field Biology Class Mike grgory and myself pose for a group photo after a night of field herping. 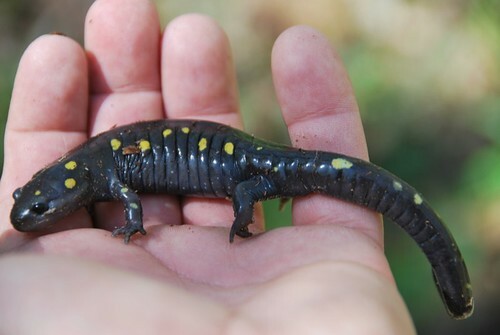 tonight’s yield included 6 species of salamanders ( Four plethodonts: Eurycea bislineata, Eurycea longicauda longicauda, Desmognathus fuscus, Plethodon cinereus, Ambystoma opacum, and numerous Notophthalmus viridescens viridescens. 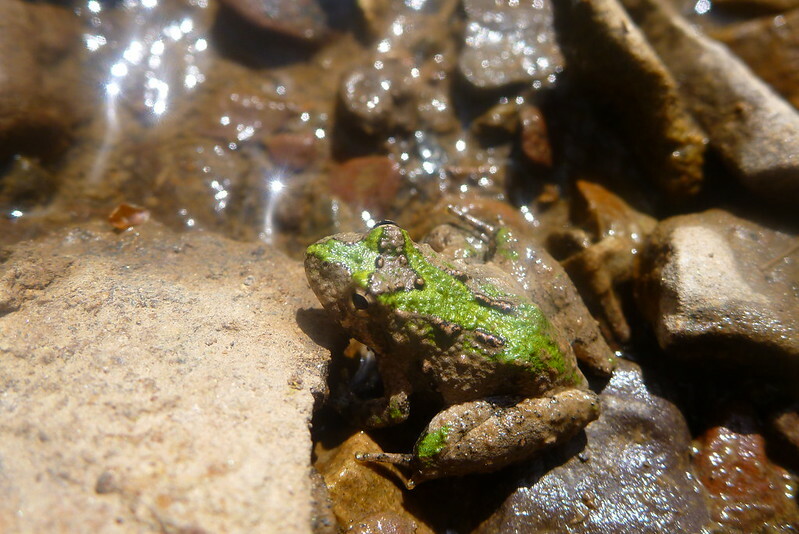 We also found three species of Anurans (Lithobates): Lithobates palustris, Lithobates sylvaticus, and one from the enus Psuedacris: Pseudacris crucifer. 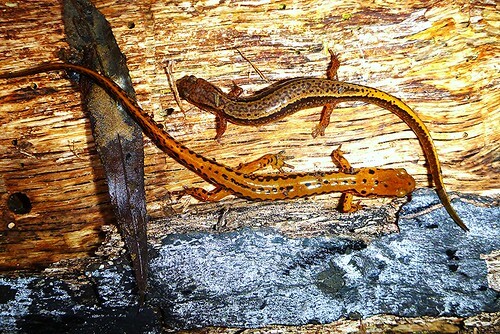 Above: Two lined and a longtail salamander caught together under same log. 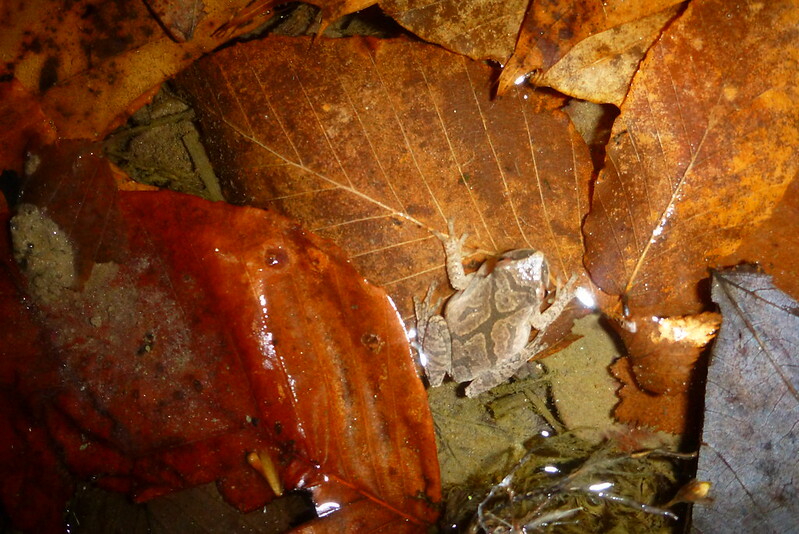 The trip did not focus specifically on herps Other animals as well as plant species were recorded. 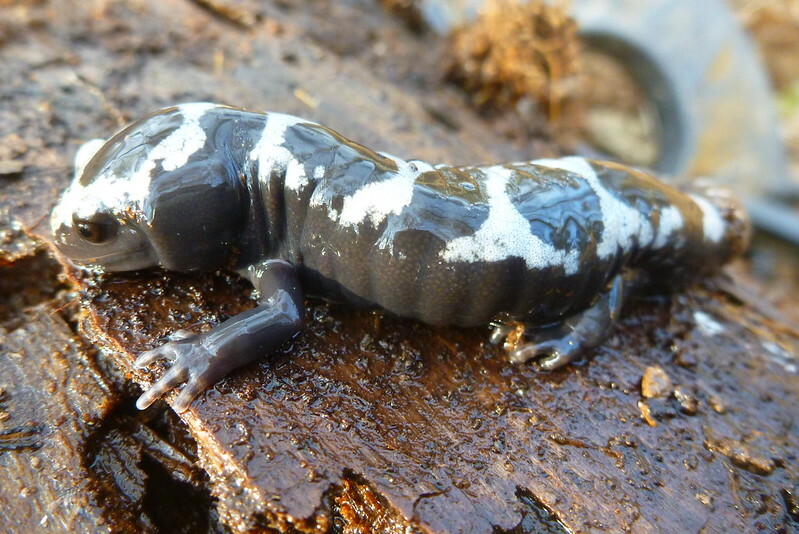 above: several Marbled Salamander Larva. 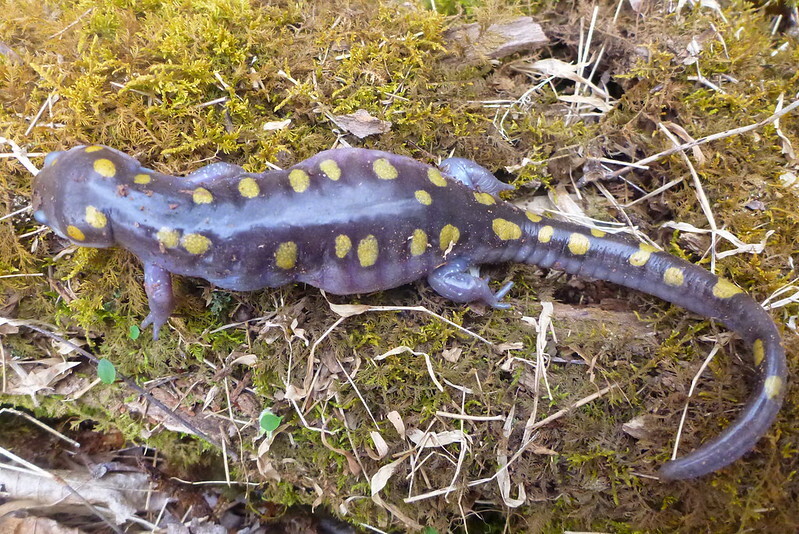 Marbled Sals bred in the late summer and as a cnsequnce got a head start on the spotted salamanders. 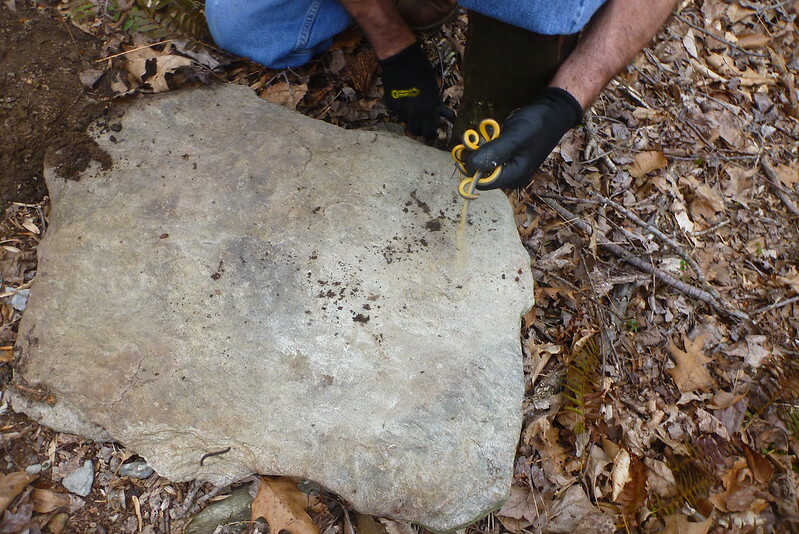 Not a good thing for Spotteds or Wood Frog eggs and larva. But that is nature and always manages to balance itself out. 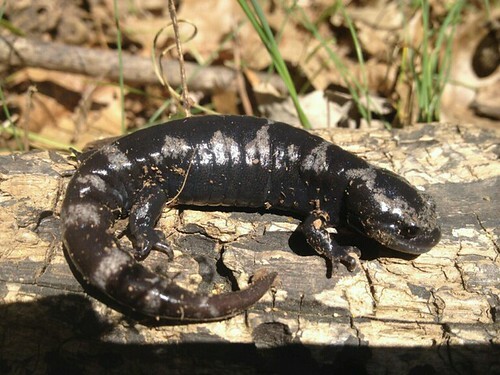 A female marbled salamander protects her eggs along Bull Run floodplain. 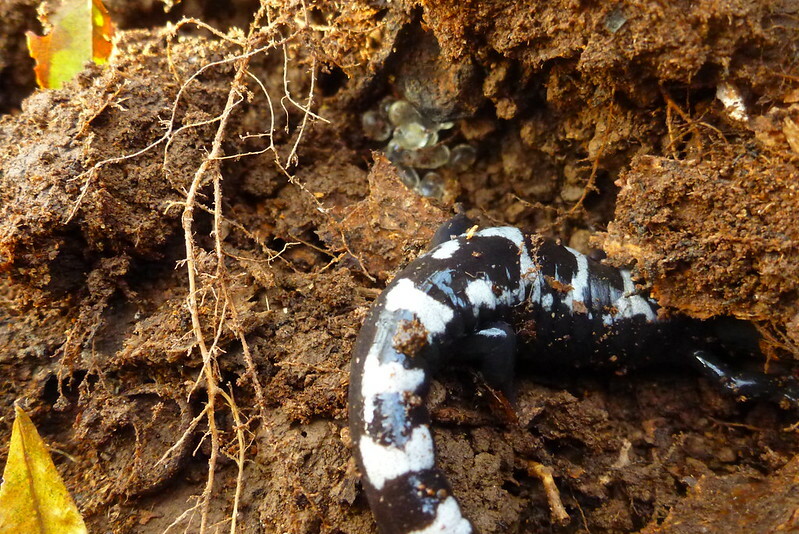 She was discovered underneath a rotten log about 35 feet from the nearest potential vernal pool. She wil remain with her developing eggs until the next heavy rain so that they can make their transition to water where the eggs will soon hatch. If enoguh rain doesn’t then the eggs will remain under the log until the the follwing spring. Once the eggs do hatch she will abandon them then retreat underground until the next breeding season in the fall. 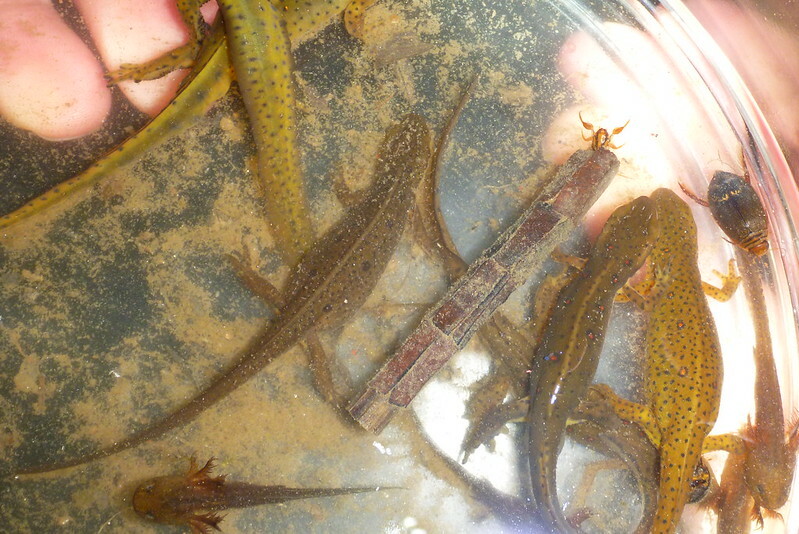 Meanwhile the tadpole like larva will reside in the pools feeding on invertebrates and eventauly the eggs of other salamander species until they are ready to transition once more to a terrestial existance. Driving on the back roads near my house especially during a summer evening rain can be very productive for Herps and Owl sitings. Tonight a cold front moved in and with some rain. 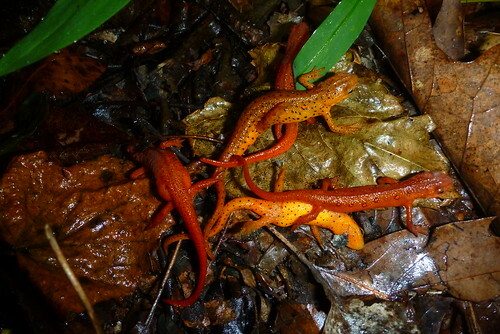 Theconditions seemed to promote an abundance of Red spotted Newts.